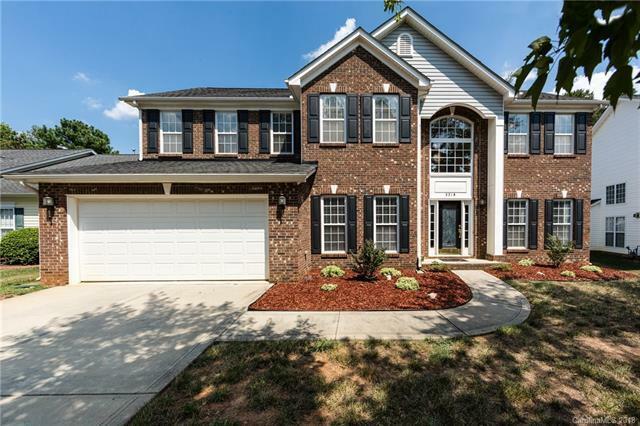 Lovely 4 bedroom home nestled in the town of Matthews' quite subdivision Dunnwood. After stepping through the front door you will find your self standing in the 2 story foyer. The property has enough space to accommodate a large family or smaller family that wants the option to grow at a later time. The kitchen is open to the main family room and sunroom/breakfast area. The crown jewel of this 2218 Dunnwood Hills is the large master suite that additionally contains a sitting room and vaulted ceiling. The bedroom gets good sunlight's and for those cold winter Charlotte nights you can turn on the fireplace located in the master bedroom. That master bathroom has his and her vanities with his and her closets to match. Sold by Trebor Realty Inc.